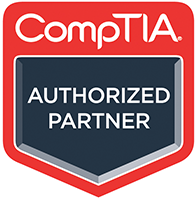 Most CompTIA certifications are valid for three years. In order to maintain your certification — and to ensure that you are equipped with the latest skills and knowledge — you will need to earn CompTIA CEUs. Learning Tree is a CompTIA authorised partner and offers a number of approved training courses applicable to A+, Network+, Security+, CASP, and CSA+ certifications.